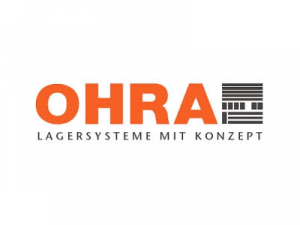 The company OHRA from Kerpen (Germany) is a manufacturer of racking systems and storage technology of all kinds, with several production plants and sales offices in Europe. For more than 25 years now, OHRA designs and produces storage systems for high-quality and complex storage demands. Especially when storing long or heavy goods, OHRA has worked out excellent solutions together with the customers. Today OHRA is one of the leading companies for Cantilever racking systems. The product portfolio consists of stationary racking systems like Cantilever, pallet, or vertical racking and as well automatically driven racking systems and complete warehouses with racking systems as supports for the warehouse. Furthermore, OHRA offers a consulting on site, CAD-design and assembly.